A number of national surveys across Europe have revealed worrying attitudes to the use of mobile devices while driving. Campaigners are calling for better enforcement, higher penalties, technological solutions and education to raise awareness of the risks. A survey carried out by Ipsos in the Czech Republic last Summer found that 36% of drivers admitted using their phone almost every time they get behind the wheel. 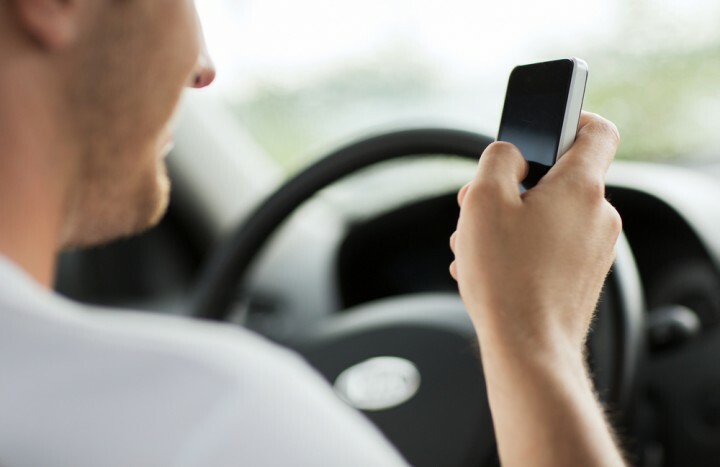 In Spain, 25% of drivers have admitted to using their phone behind the wheel, similar to the figure found in Ireland. In Germany, a survey by Dekra found that half of drivers admitted to using their phone at the wheel, at least occasionally. Dekra has also carried out observational research which found that, at any given moment an average of 7% of German drivers are distracted while driving. Similar figures have been observed in the United States by the National Highway Traffic Safety Administration. Precise data on the role of distraction in collisions is hard to come by, and crash investigators may not be able to fully determine if distraction was involved or was the principal cause. This is in contrast to cases of drink driving where crash participants can have blood samples accurately tested. Estimates of the scale of the problem vary. In France, the official figure is that 9% of fatal collisions occur due to distracted mobile phone use. The RSA in Ireland says distraction in general is a factor in 20-30% of collisions. In one unusual but highly publicised recent case in Belgium, a van driver was found dead in his vehicle with the mobile phone still in his hand. Calls for action have stepped up in recent months. Traffic Safety Netherlands has called for distraction to be punished as heavily as drink driving in a recent letter to the justice minister. The organisation also called for enforcement to be stepped up and joined a coalition of 40 organisations that have backed a commitment to work together to reduce distraction. In the UK, another national coalition has called on the mobile phone industry to help solve the problem. Apple’s latest iPhone software update offers an optional ‘do not disturb while driving’ feature. A number of apps are available for Android phones that achieve a similar effect. Several countries including Ireland and Italy have considered increases to fines or the number of penalty points for drivers caught driving while distracted. The UK doubled its fines for distracted driving earlier this year.